Make Your Campus Security Better Through These Important Features! Posted on: In: Blog | Comments Off on Make Your Campus Security Better Through These Important Features! A well secured campus entrance serves to control access in and out of the premises, hence reduce security risks and threats to the entire fraternity. However, this is not the only component that can be used to beef up security. There are many other security solutions in Montreal that can be installed around the school, thanks to the Crime Prevention Through Environmental Design (CPTED). This design is used to achieve a feeling of natural surveillance, control of access and clear outlining of the territory. The following mechanisms are based on the above mentioned qualities of CPTED. Enhancing Security In Your Business: Build An Effective Threat Assessment Team! Posted on: In: Blog | Comments Off on Enhancing Security In Your Business: Build An Effective Threat Assessment Team! Every single day, business assets and data face various security threats. Ranging from natural calamities to personal interference, these threats must be detected early enough and dealt with urgently in order to safeguard the interests of the business and its employees. Therefore, you should put together a competent team of threat assessors to identify any possible threats and propose practical solutions of countering them. 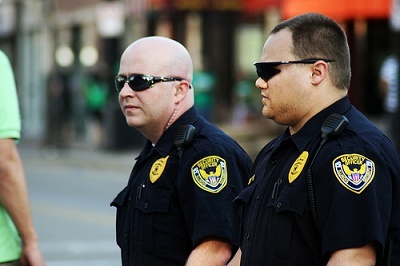 Security officers are highly trained and vigilant individuals who are always prepared to deal with any existing or new threat that may cause damage to their location or market. The demand for qualified officers is on the rise given the increase in security issues that threaten the safety of everything around us. Therefore, now more than ever, the quality of education given to these professionals should be exemplary. They offer services across multiple markets and geographical locations, hence need to be trained on how to handle sector-specific security issues. Dealing with security in major towns is very different from dealing with it in more interior parts where there are less people. Municipalities tend to have a high population hence increasing their predisposition to security threats and nuisance by neighbours. Therefore, security officers are trained on how to ensure compliance of the municipal by-laws by providing relevant information to the offender. Most of the neighbourhood complains that they have to deal with includes parking issues, noise complaints or trespass to land among others. These officers are mandated to issue advisory statements, warnings or recommendations that will force the offender to comply with the existing regulations. They work closely with the local police officers who take over the serious cases that need investigation and enforcement. In addition to that, they are also taught how to provide first aid in case of an emergency. For example, they are well-equipped to offer CPR and AED services to injured patients and they can evacuate people in response to imminent disasters such fires, floods and terrorism. Training in this area ensures that the officers have better knowledge of what happens, or what should happen in these facilities. This ensures that the operations in this industry are safe and secure, and that they are brought to successful completion in order to achieve the desired outcomes. In this day and age where the geopolitical environment is highly dynamic and extremely volatile, it is important to train such professionals to deal with the potential security risks facing energy facilities and the employees who operate them. Some of the issues covered during such training include access control systems management, pipeline security patrol services in Montreal, remote site patrols and industrial paramedic services. This training covers commercial buildings and businesses such as malls and shopping centres. Essentially, the officers provide security services in a bid to counter both internal and external risks and threats that could otherwise result into losses. The focus here is to reduce, and if possible eliminate any criminal acts that could cause both physical and financial damage to the business. In these commercial buildings, uniformed security officers are always on site, backed up by other officers in a patrol vehicle somewhere in the vicinity. They are trained to deal with theft, burglary, vandalism and improper public behaviour so as to provide the shoppers and staff with a safe and secure environment. Clients in hospitals and health care institutions rely on security officers to provide a safe environment for the patients, staff and visitors alike. During training, the officers are given exposure to various health care institutions in the both urban and rural areas so that they can work comfortably wherever. At the end of the day, the officer should be able to provide the client with a well-integrated and functional security system. They are also trained on emergency management so that they are able to provide urgent care to extremely ill or injured patients before they are admitted into the hospitals. This covers all learning facilities from schools, universities and technical training institutions. Security officers are trained on how to avert threats on students and staff in both big and small institutions. They are taught how to identify each institution’s unique culture and practices so as to tailor make the security solutions to fit them. This training helps officers to deal with the daily occurrences as well as emergency cases. They also come in handy in providing security during school events and functions. Given that these institutions harbour many different people from various backgrounds, the officers are well-equipped to relate with everyone in a satisfactory manner. We live in a world where technology keeps evolving every day into something better and more practical to our daily lives. The same applies to security systems. There are better systems now than there were ten years ago thanks to the dynamic nature of technology. Security officers are trained through the latest technology hence enabling them to grasp the whole concept in the classroom. In the field, they are given the skill to tackle crimes and threats associated with technology such as hacking and cyber crimes. They are also kept up to date with the changing surveillance and security systems so that they are able to work efficiently.